"Spetsstal" Association presents the 3rd edition of Intellectual Database of Russian Stainless Steel Importers in 2016. The third edition is supplemented with statistical information on the volume of companies’ import for the two previous years (2014, 2015). In 2016, more than 3650 Russian companies have spent 786.82 million dollars on purchasing 307.47 thousand tons of various types of stainless steel products abroad. 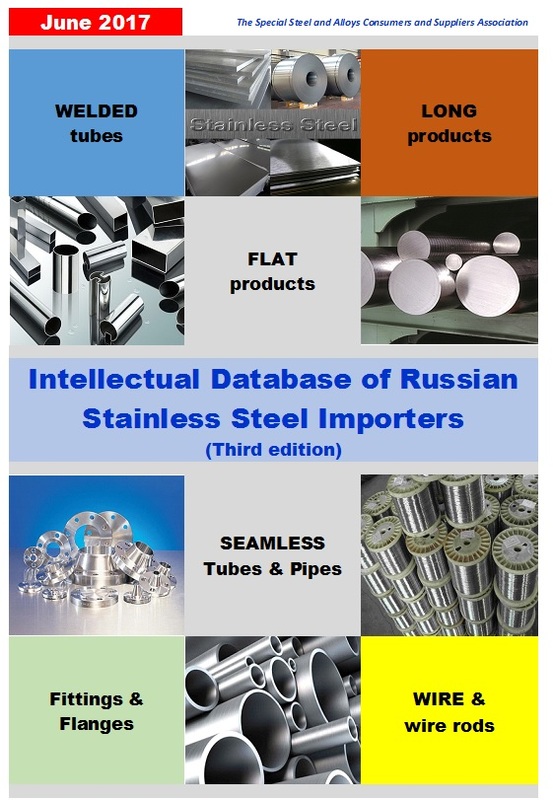 The main feature of Intellectual Database of Russian Stainless Steel Importers is the availability of information on the structure and the volume of import of certain types of stainless steel products of importers in accordance with the 6-digit codes of Foreign Economic Activity Commodity Nomenclature of the Eurasian Economic Union (FEACN EAEU), which are maximally similar to the 6-digit codes of Harmonized System Codes (HS Code). 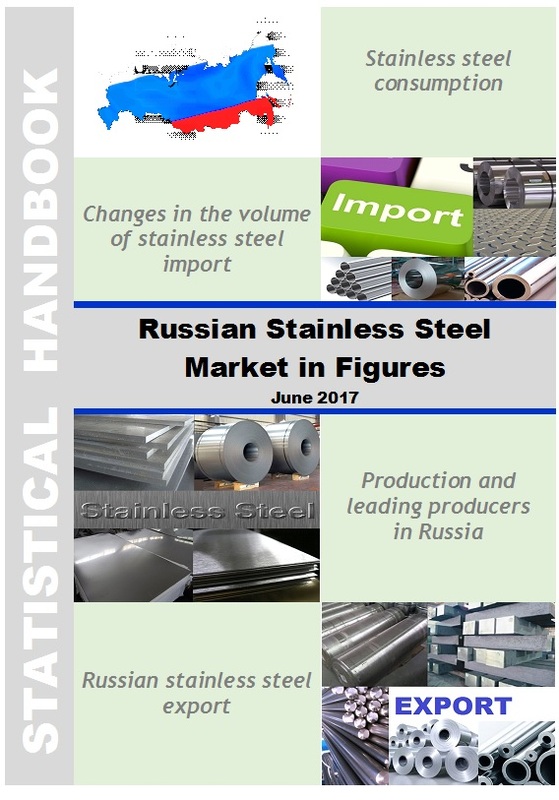 The database (third edition) contains detailed information about 190 leading Russian importers, whose share of imports in 2016 was ~90% of the total volume of Russian import of basic stainless steel products. The database is prepared in PDF format. The database is prepared in PDF format and supplemented with Excel, which contains following information. This format allows to quickly find importers by the type of product and to form separate groups for a further work. At the same time you can obtain complete information about a particular importer in the major database.